What is the connection between how well you clean your mouth over a lifetime and the potential for developing Alzheimer’s? In newspapers around the globe, this piece of health information was being published on July 31, 2013. I have made a link to the article (above) for you to read in its entirety. Researchers at the School of Medicine and Dentistry at the University of Central Lancashire in England, have discovered that the bacteria linked to gum disease actually travelled to the brains of people with Alzheimer’s disease. This finding suggests that oral hygiene plays a significant role in the development of the disease. The bacteria (Porphyromonas gingivalis) was found in 4 of the ten brain tissue samples from Alzheimer’s patients. None of this bacteria was found in the ten brain tissue samples from similar aged patients with no signs of the disease. The theory is that bacteria found in the mouth enters our blood stream through chewing or swallowing as well as from dental procedures. The link (below) explains some dental procedures. My husband and I have been well trained by our veterinarian in the importance for keeping bacteria to a minimum for our pets. We brush our dogs teeth nightly. We were educated about the harm that oral bacteria can have on our dogs heart, potentially robbing them of two to four years of life. Two to four years is substantial when you consider that dogs have a considerably shorter lifespan than humans; roughly 10 – 15 years, depending on the breed. Most dogs are walking around in extreme pain. 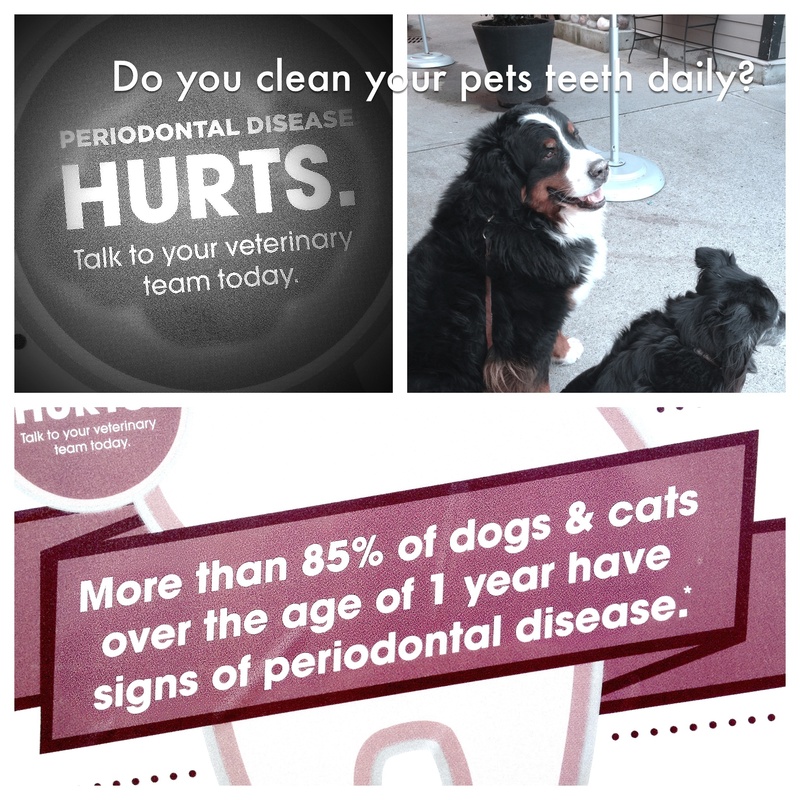 It is estimated that over 85% of domesticated pets have periodontal disease. That means a lot of bacteria in their mouth, which causes severe decay and pain. I have found that there are a lot of people who claim to be animal lovers, but unfortunately, are unaware of this important factor in caring for their pets. Chances are, if you are unaware of the importance of keeping oral bacteria from collecting in your own mouth, you will be far from considering it for your pet. there is a standard technique which enhances tooth placement, it’s like doing exercises for your teeth! If you do a really good job cleaning your own teeth you won’t have to see the DENTIST!! Instead have a relationship with your hygienist!! clean away any sticky food items from teeth after eating meals or snacks. snacking between meals is overrated and is a big contributor to tooth decay and becoming overweight. Brush your pets teeth daily with Animal Toothpaste (of course, did I really have to say that? Just clarifying! ).